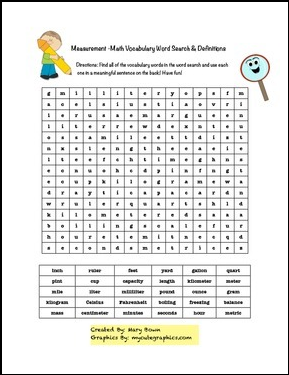 This is a fun word search including measurement vocabulary. It is that simple! 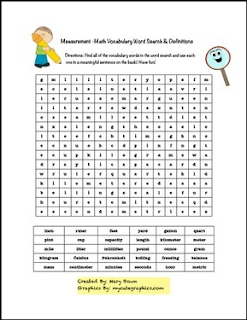 Who doesn't love a word search. The directions tell the students to write the words in a sentence on the back. Follow me to get exclusive FREEBIES each month!